Today we have a tutorial for you on how to make a table topper from the Toscana chips charm pack. The finished size is 18.5″ by 24.5″. 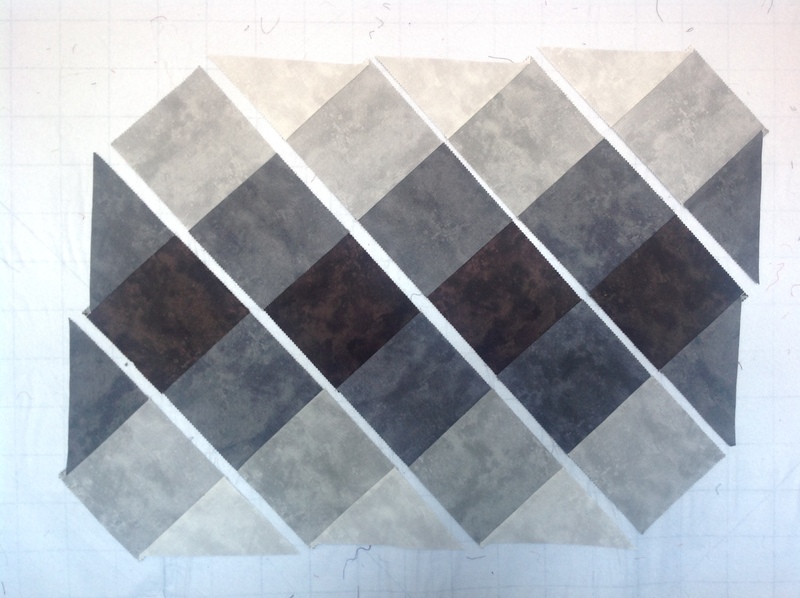 This charm pack has 5 colors of neutrals ranging from a near black, through greys to white. 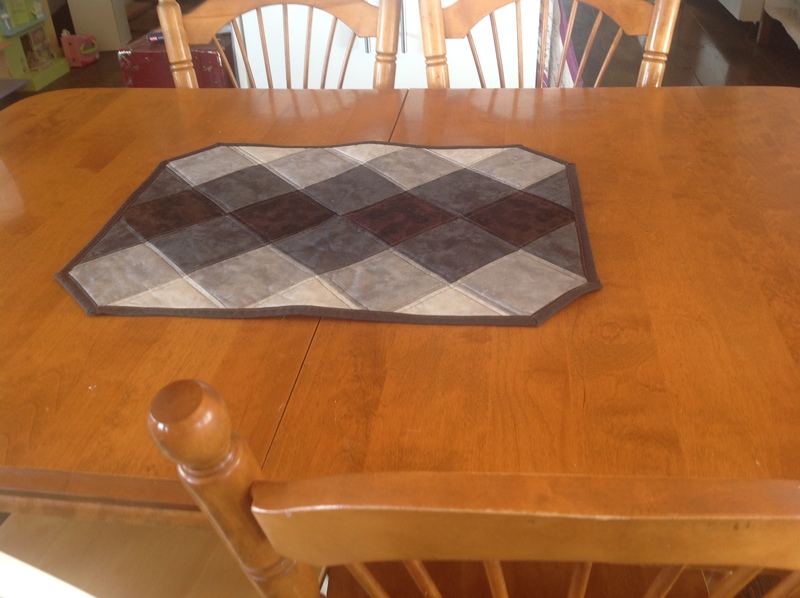 We’ve used a little more than half the charm pack to make this table topper. 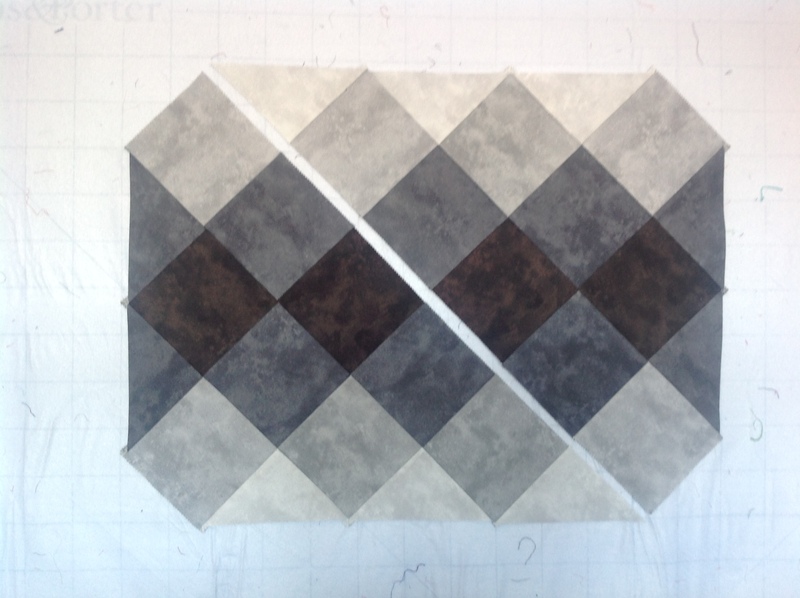 Take two of the dark grey squares and cut across the diagonal. 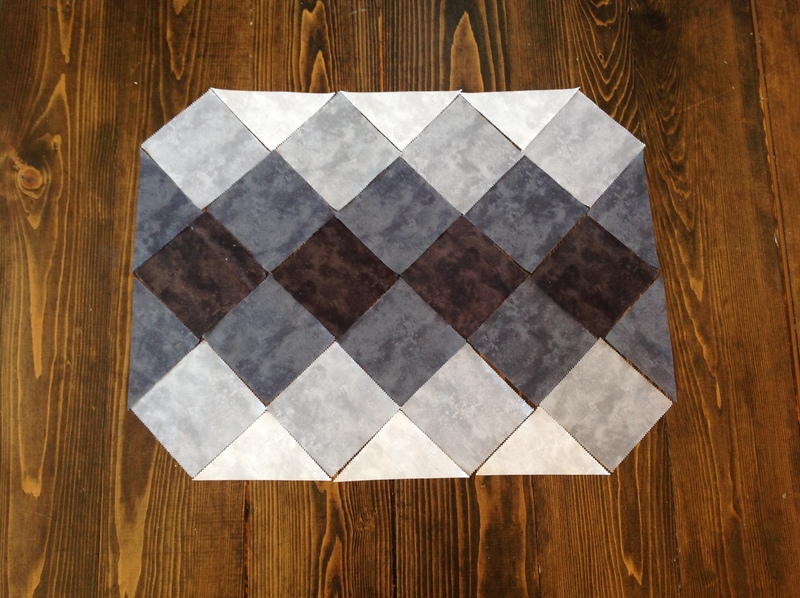 You should now have 6 dark grey squares and four dark grey triangles. 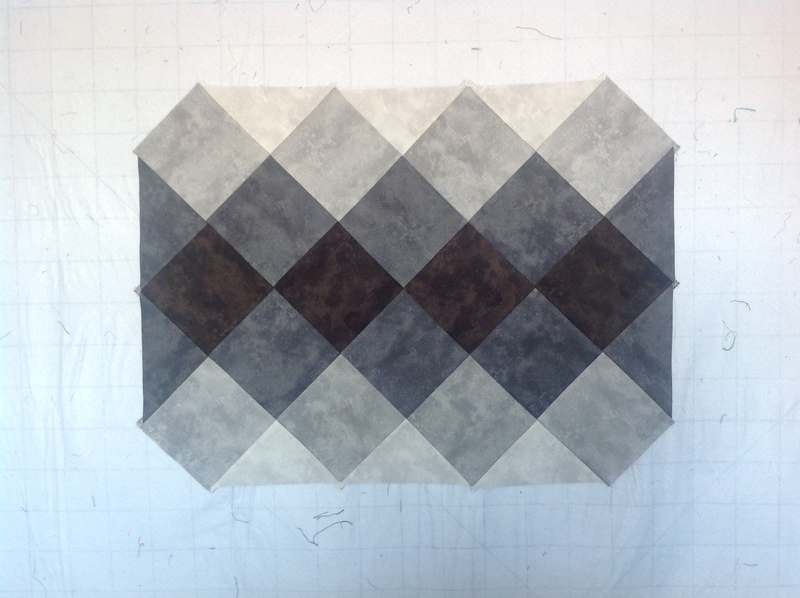 Take all of the light grey squares and cut on the diagonal. This gives you 6 light grey triangles. Arrange all the squares and triangles as shown. Once the rows are sewn, join the rows, matching up seams. Give the piece a final press. We layered our batting and batting and spray basted to hold the layers. 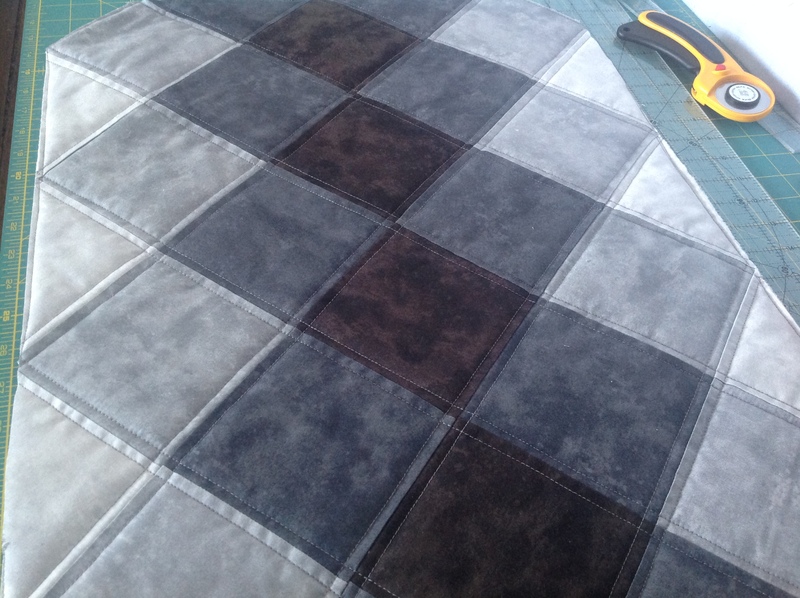 Using the walking foot on a domestic sewing machine, we quilted 1/4″ away from each seam line. When you go to one end, you can turn the piece and travel to the next line, making a path across the table topper. I also stitched around the outside edges. With spray basting and a walking foot, you do not have to worry about making sure all the quilting lines are sewn in the same direction. After quilting, trim off the extra batting and backing with a rotary cutter and ruler, squaring up the piece as needed. Bind the topper and you are done! This can be done in a couple hours and makes a great hostess gift.